The Open Source Circular Economy Days 2016 in Helsinki, Finland was held on June 11th. 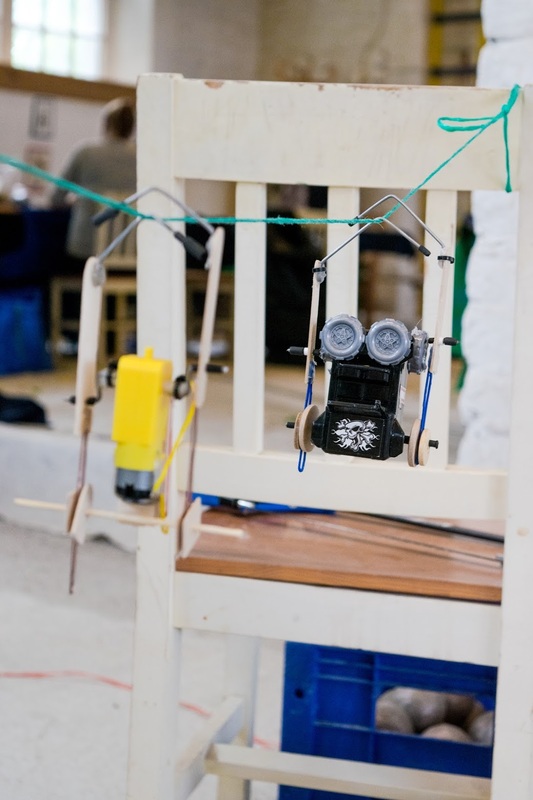 An estimated 100 visitors and participants came to the old railyard (Veturitallit in Pasila) to enjoy a day of discovering, making and learning. The venue was an old train turntable (kaantopoyta ) which has been converted into an urban experimental urban greenhouse. 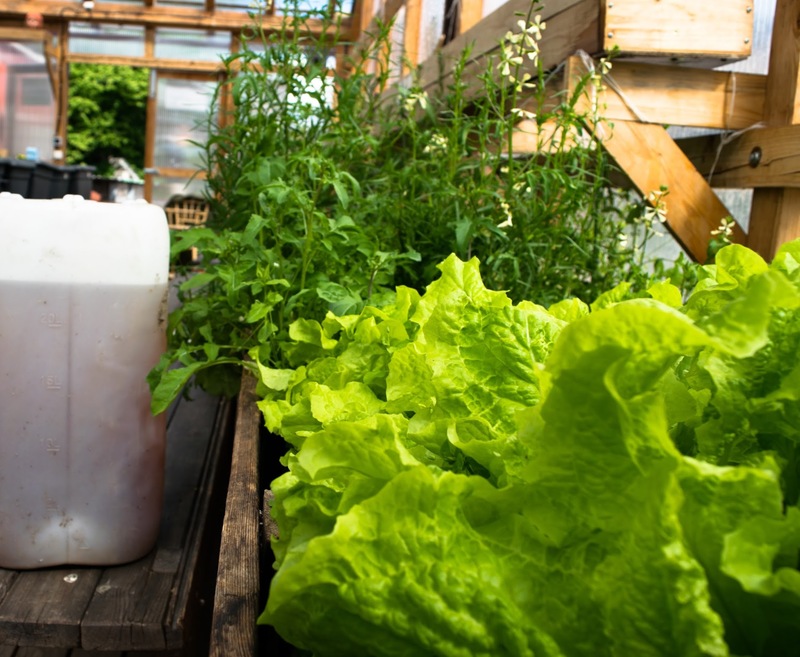 The greenhouse is managed by the ngo Dodo to showcase urban farming methods and off-grid energy system. The whole system generates its own energy from solar pv, wind and a battery bank which powered all of the nearby workshops. The event was sponsored by the Tiina ja Antti Herlinin Foundation & Open Knowledge Finland . Mushroom startup Helsieni open-sourced their design of a micro-mushroom farm, repurposing a used refrigerator to grow mushrooms. With this fridge you can have a growing and fruiting room for your home-cultivated oyster mushrooms. 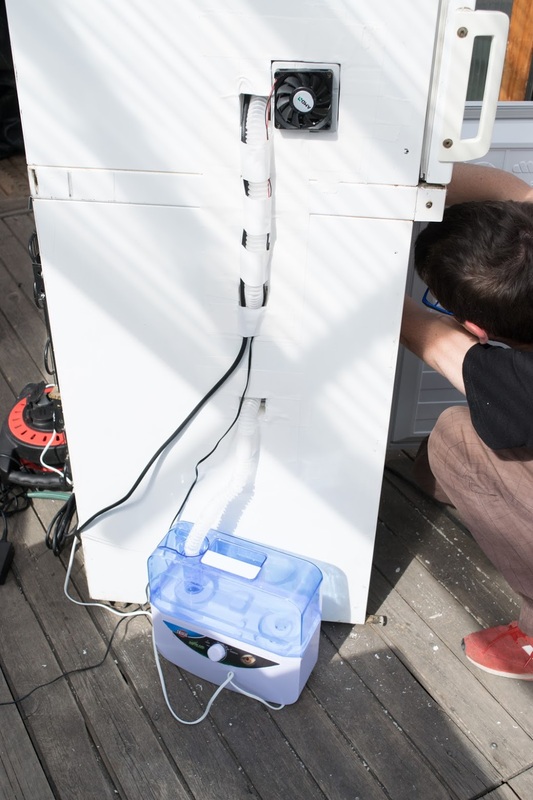 The workshop consisted of making holes in the fridge and installing two CPU-fans, a humidifier, a lamp and a humidity / thermometer. Read a more detailed report about the workshop here. 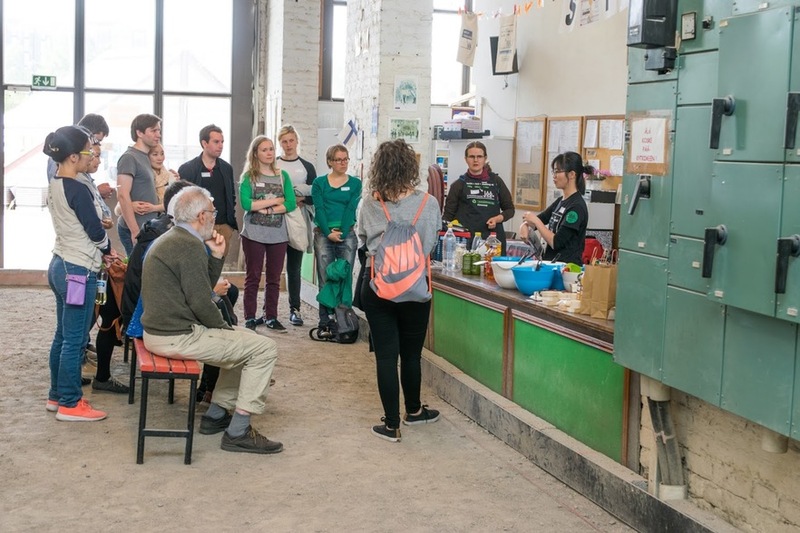 The experts from Pixelache ‘s trashlab showed the participants of the workshop how to dismantle a laptop battery safely and how to harvest the Lithium-Ion batteries inside. 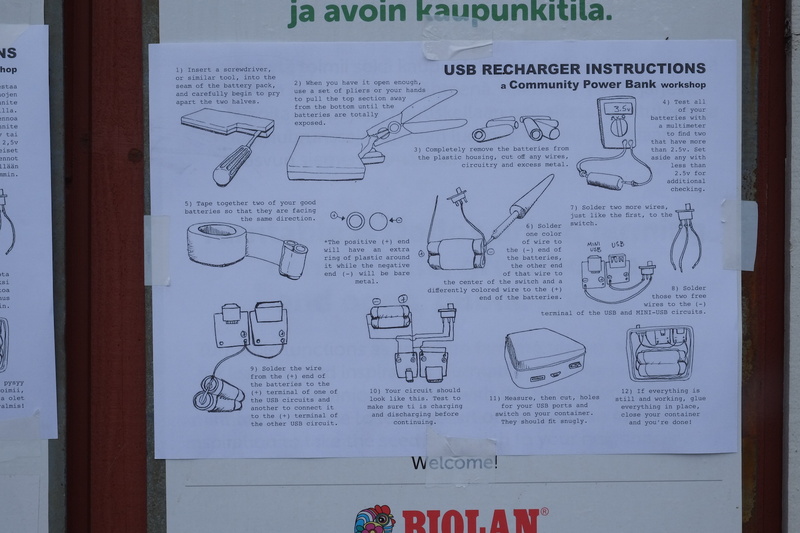 They provided the participants with instructions (above) on how to make their own USB Powerbank. The Tesla Powerwall made the idea of having a battery in your house to power your electrical appliances mainstream. The only problem is, it’s expensive. The good news is: you can make one yourself! All you need is 100 old laptop batteries. 4 out of 6 of the Lithium-Ion cores in your average laptop battery are perfectly functional. These are the same batteries Tesla uses in it’s Powerwall and cars! The D.I.Y. 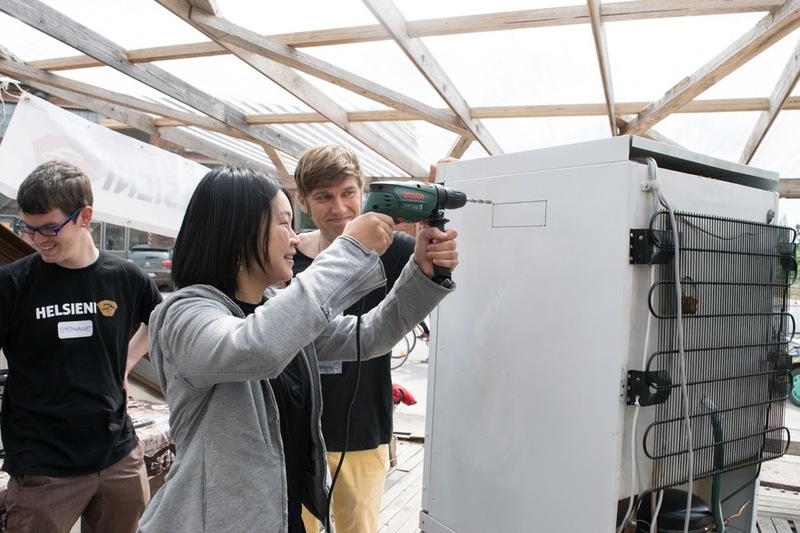 Power Wall project is about upcycling e-waste while simultaneously moving towards renewables. 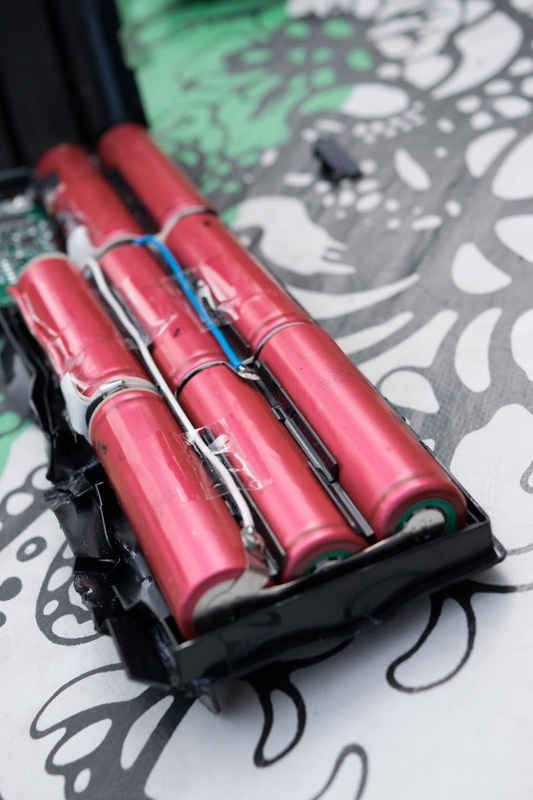 The community power bank project is a collaborative effort spanning over multiple workshops so many different people are harvesting batteries and helping to make it. The inside of a typical ‘broken’ laptop battery. 6 of the 8 cells still worked perfectly. 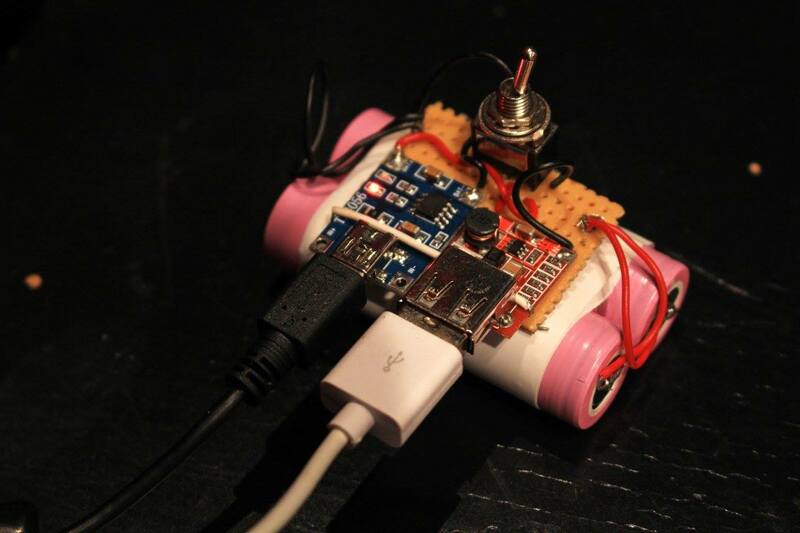 Burhan showed how to convert an old toy car and turn it into a rope climbing robot. Materials were ice cream sticks, metal wire, rubber bands and some glue. Kids were really enjoying this workshop! Check out Burhan’s Robot youtube channel. Potentials of open design processes for sustainable design is widely discussed yet seldom explored. 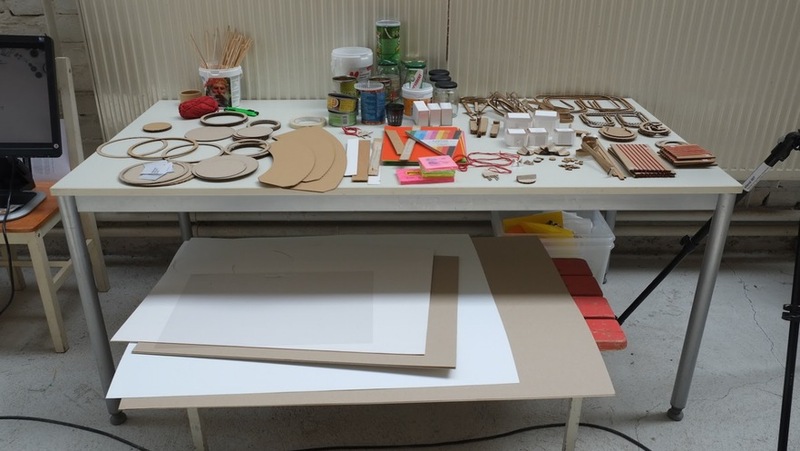 Hence, this workshop aims to explore its potentials through emulating an open design process and sharing environment for parts and their assemblages. Throughout the workshop, mainly product / part longevity will be explored along with interrelated topics of standardization, personalization, emotional durability, ease of maintenance, repair, reuse and upgrading. Theme of the workshop is kitchen practices that are currently shaped around small kitchen appliances. 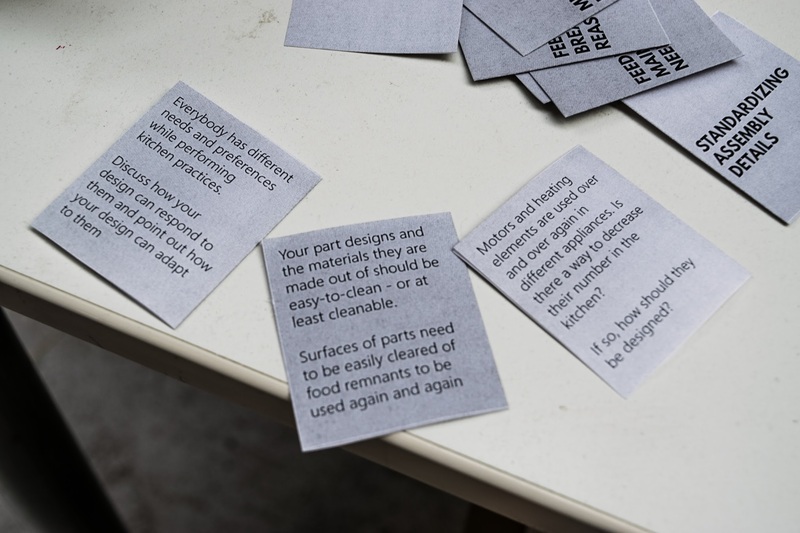 A generative design toolkit will be introduced to participants to quickly explore and mock-up design ideas, producing physical outcomes. 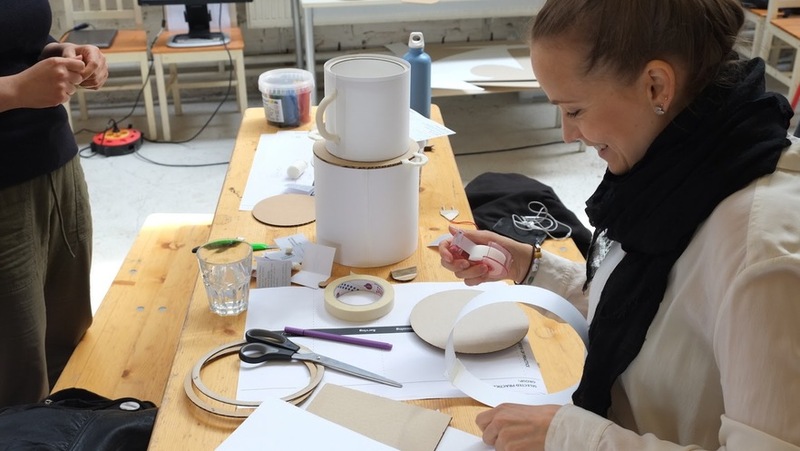 Yekta Bakırlıoglu is a student of Aalto and this workshop was part of his research at Nodus Sustainable Design Research Group. 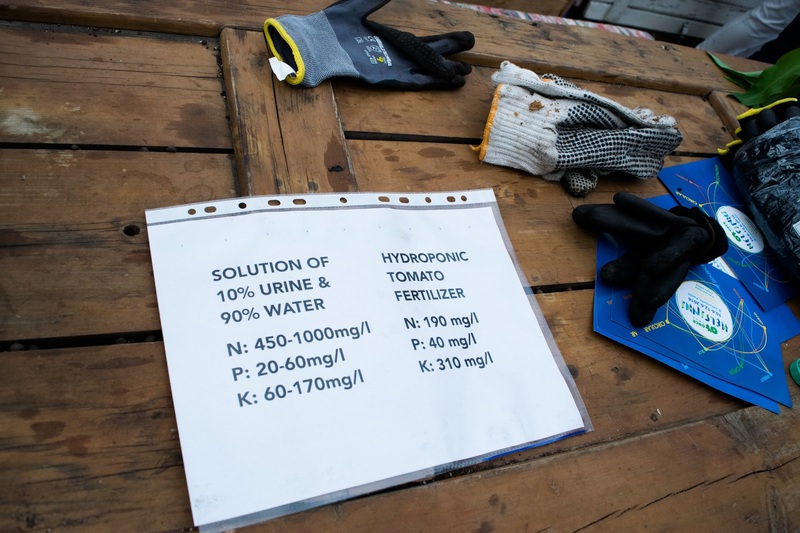 1) Pee in a jerry can 2) let it sit for several weeks to sterilize and to convert urea to ammonium 3) Mix pee with water 1:9 ratio 4) water plants that like nitrates with it. The Peeponics workshop was about setting up the pee-powered hydroponics system for the season. It began with an introduction into the chemistry of turning pee into nutrients for plants. In a nutshell pee into a container and let it sit for several weeks. During this time urea from pee turns to ammonia and then ammonium which is used by plants. A ratio of 1:9 Pee:Water is used to dilute the nutrients to a good level in a 100 L barrel. The plant bed is a simple rectangular box padded with a water proof plastic. A hole at the bottom is used to fill and drain the nutrients ‘ebb and flow style’ to the plants which are held-up with clay pellets. A hole near the top is used as an overflow valve (like in a bathtub). The pump is timed so that it almost fills the bed and then stops for one hour. Currently just on timers but the goal is to automate it with a raspberry pi. Peeponics closes nutrient loops from plants to pee and then back to plants again. The food grown in the greenhouse are served on weekend brunches along side dumpster dived food and therefore boosting permaculture. 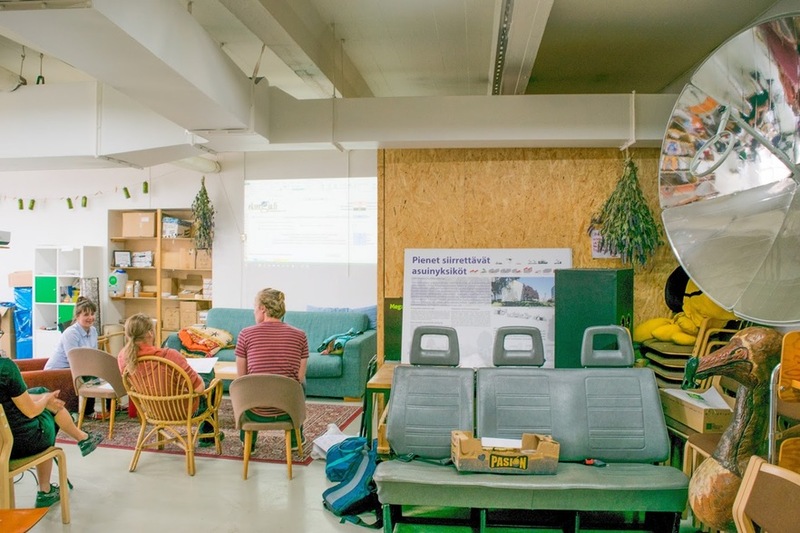 This workshop was given by Jaakko Lehtonen from Dodo , an environmental organization focusing on applied research on urban agriculture in Finland. Water + Lye + Used Cooking Oil + ‘Finnish Peat‘ for scent = Recycled DIY Soap. Ruby from Joosoap was teaching the participants this method from Taiwan for making soap from used cooking oil. By combining water, lye and oil the chemical process of saponification occurs, during which quite some heat is generated! The mixture is liquid and can be poured into any shape, after which it needs to cool down for some weeks and harden. 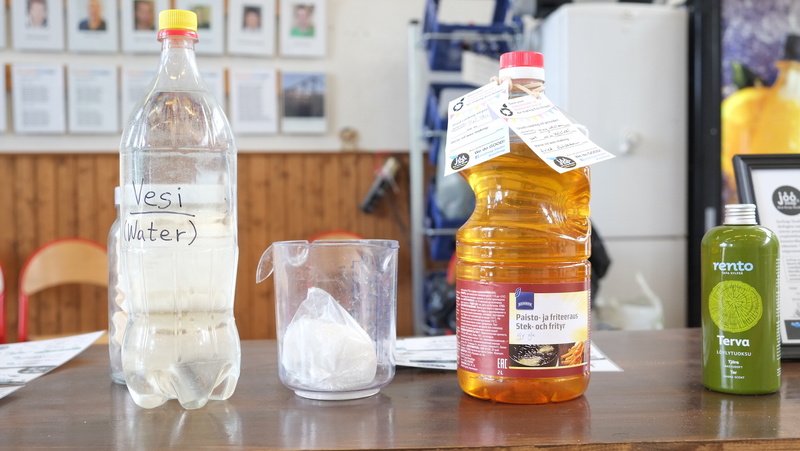 JooSoap is also an upcylcing project to reduce cooking oil waste while producing local soap. Download Joosoaps Soap Making Guide here. 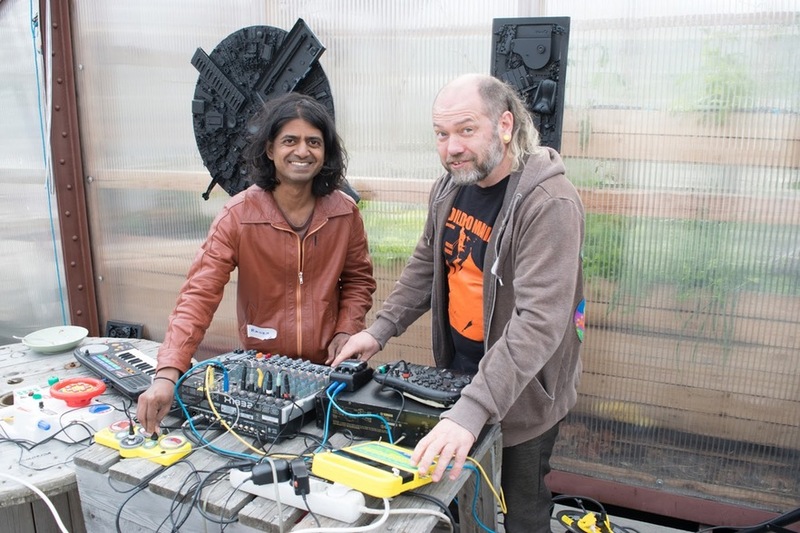 Jonne Pitkanen created fabolous soundscapes from circuit bent instruments (hacked kids toys with added circuits to make effects like distortion and reverb). A big thanks to all the volunteers, organizations & startups giving the workshops that made this event possible!